Dreamkapture has been a favorite of foreign travelers and backpakers since 2000. Dreamkapture is an economic hostel and has a travel agency to help visitors with Galapagos cruises, Jungle tours, Volcano adventures and more. Wireless Internet Access is Free of Charge. from 7:30 - 10 am the next day. Cruises, Jungle Tours, Bus information, and more at the front desk 9:00 - 5:00 p. m.
Open area garden with birds and turtles. The private rooms Do Not have Televisions in them. Dreamkapture has been a favorite of foreign travelers and backpakers coming to Guayaquil, Ecuador since 2000. Dreamkapture is an economic hostel and has a travel agency to help visitors with Galapagos cruises, Jungle tours, Volcano adventures and more at: Dreamkapture Travel. Dreamkapture specializes in catering to guest from other countries. Here at Dreamkapture we have rooms for everybody from shared Dormitories to Private rooms. All of our office staff speak English. Dreamkapture has a variety of rooms ranging from shared dormitories to private rooms with bathrooms and A/C. Dreamkapture is an economical hostel catering to foreign travels. Backpackers welcome. There are lots of things around Dreamkapture Hostel. Private Parking lot about 1 city block away from the hostel. This is $3. 00 or more per night depending on the vehicle. This is NOT OWNED or OPERATED by Dreamkapture. The best way to get to Dreamkapture hostel is by taxi. 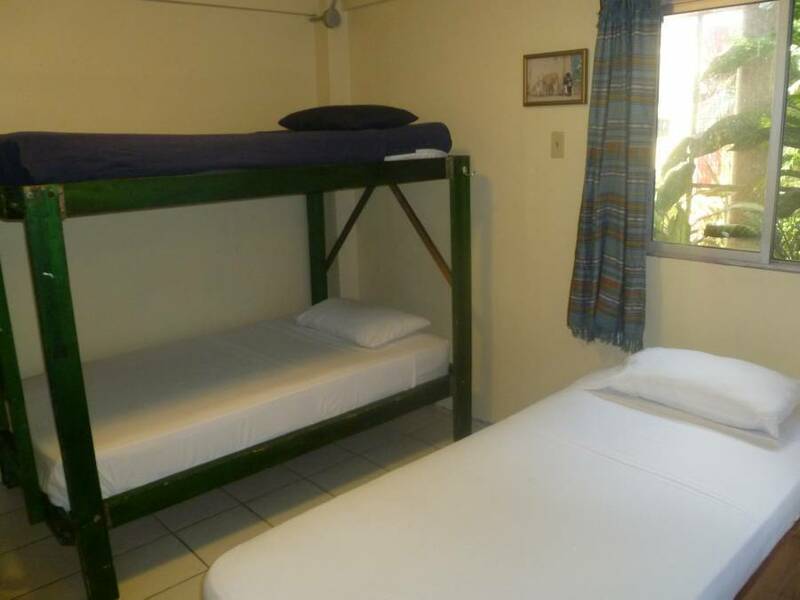 We are located approximately 10-15 minutes from the bus terminal and the airport. For safety reasons do not let the taxi driver try and take you to another hostel. This is a scam and they get paid by other places to take you to other destinations. Private Taxi Pick-Up Service: Dreamkapture can arrange a private, secure taxi to be sent to pick you up and bring you to the hostel. There is an additional cost for this service. Viniendo desde al aeropuerto por la Av. Benjamín Carrión, pasando la Av. Rodolfo Baquerizo Nazur (pase las AlboBodegas), vire a la derecha una cuadra antes de la Av. Francisco de Orellana, en la esquina verá la farmacia LEOMAY, continúe unos 150 metros aproximadamente, nos encontrará en la acera izquierda. Estamos ubicados en la misma calle de las “Hamburguesas El Colorado”.